The influence of Twitter on search rankings is well established. A comprehensive study by Branded 3 says that URLs that are shared on Twitter get a significant boost in their search rankings. And as per this study, if you manage whopping 7500 retweets, your url is sure to rank within the top 5 Google results. Click here to read the details of the study. So the key is to have a comprehensive strategy to enhance the number of your retweets on Twitter, which will have a positive effect on your search ranking. Focusing on Twitter strategies at the cost of not paying attention to your content will not work. You content should be useful and informative. It is a good idea to use Twitter Search to see the most current retweeted topics. Then create a post that fills in the gaps or offers a different perspective and tweet about it. You are likely to get more retweets. It may sound against Twitter etiquette, but it is a good plan, if you are catering to global audiences in different time zones. Of course don’t retweet your own tweets too often, but a gap of 8-12 hours between retweets is fine. You know Twitter has a 140 character limit. So make sure you leave enough space for people to leave their own comments while retweeting. Retweeting is an impulse action and if people find that they need to edit your tweet, they may just not bother with it. And you don’t want that. Or you find that they have cut down your link, thus decreasing chances of traffic to your website. Having a call to action is always good. But apparently, being nice on Twitter has added benefits. This study by social media scientist Dan Zarrella shows that saying “Please Retweet” or “Please RT” in your tweets returns more retweets than when you don’t include these phrases. Interestingly, “Please Retweet” was found to be more effective than “Please RT”. The more you retweet others’ tweets you can expect them to return the favor. 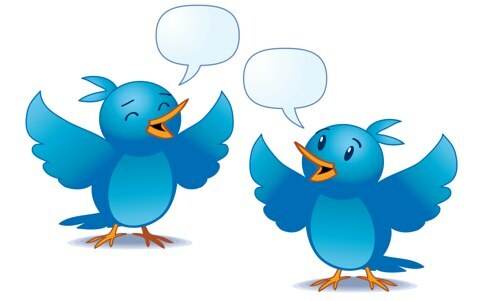 Focus on creating a strong foundation on Twitter by engaging meaningfully with others and adding followers. Such followers will automatically retweet you, causing an increase in the search rankings. What are your strategies for increasing retweets? And what was the impact on your search ranking? Looking for an SEO company with post Penguin link building expertise? Check out www.quantumseolabs.com, founded by Yasir Khan, author of this post.